It took me 2 months to complete. I am proud of my latest craft project. It’s not perfect, by any means… but I really like it. 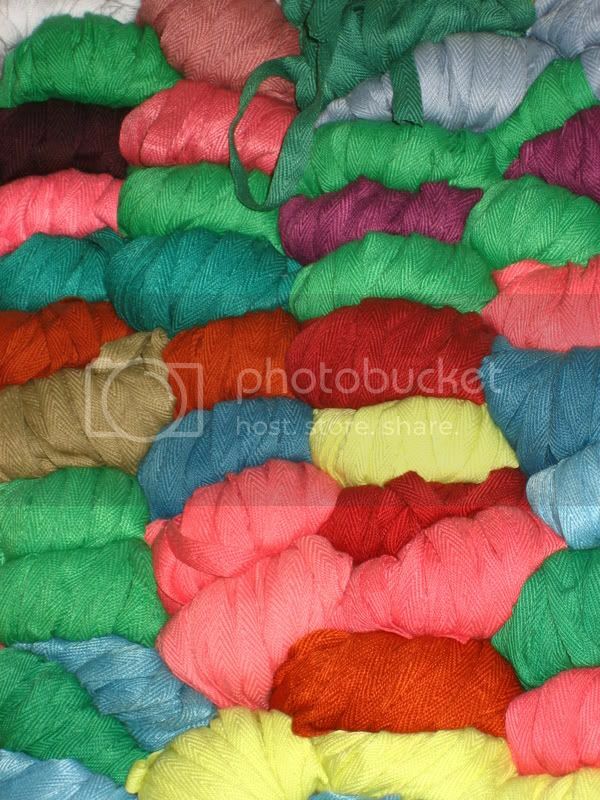 Need yarn, or twine, or ribbon? I found the place for you…. This store didn’t have exactly the yarn I was looking for, but it was amazing. Even the ceiling was dangling with strings of various ribbon or rope. They had several bags of ribbon they were throwing away, and so I raided their stash and found some gorgeous lace ribbon. 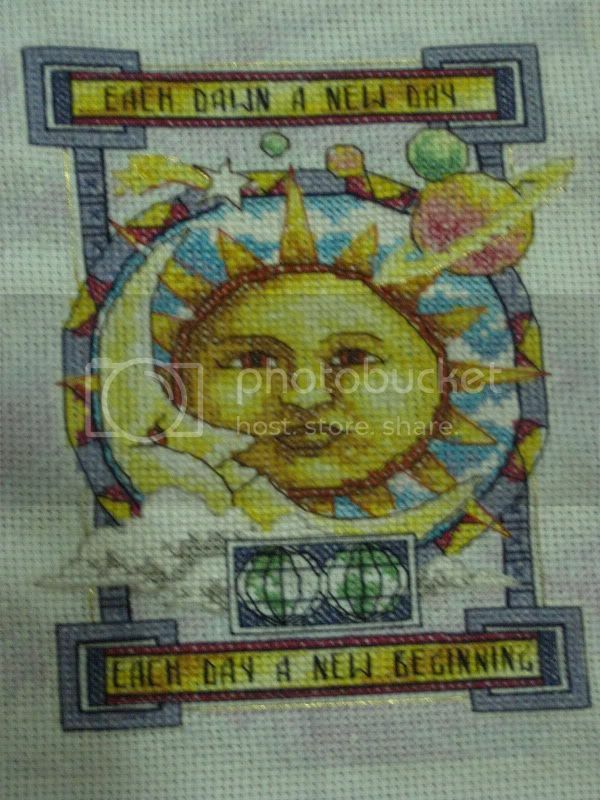 I’m not sure what I’m going to do with it yet, but it’d be great on a purse or around the cross stitch I’m working on now. OKay, so maybe it was more of a Craft Complex. It was amazing. You name it, I may have been able to find it there. 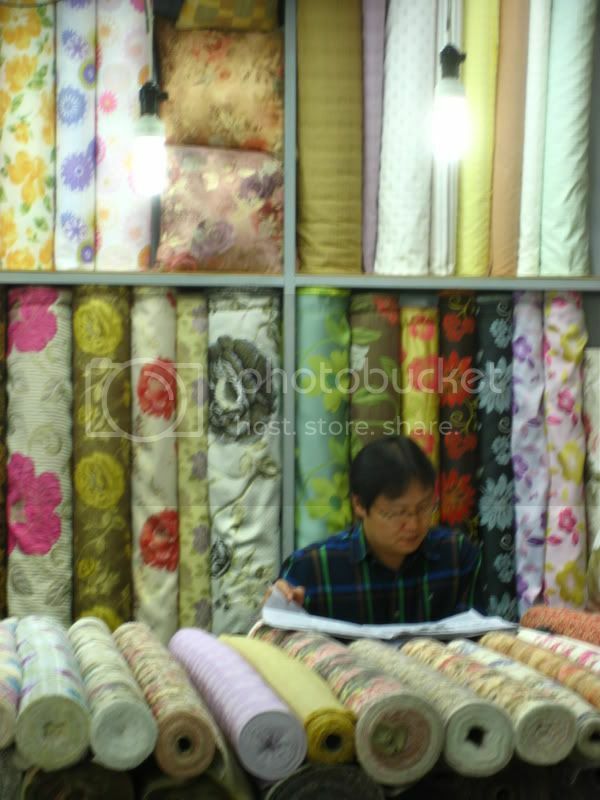 Lots of fabric… everything from tapestry quality to cheap cotton… silks to crushed velvet… solids to florals. It was a rainbow of shopping. Plus, they have alot of housewares too… lots of silverware and stuff you’d want to put on a wedding registry. And, not all the stores were open. We went on a Sunday and some of the shops were closed, so I can’t even imagine what it’d be like when they’re ALL open. Wow. This area of Seoul is known as “Fashion Town”. There are also tons of high end clothing stores all around. 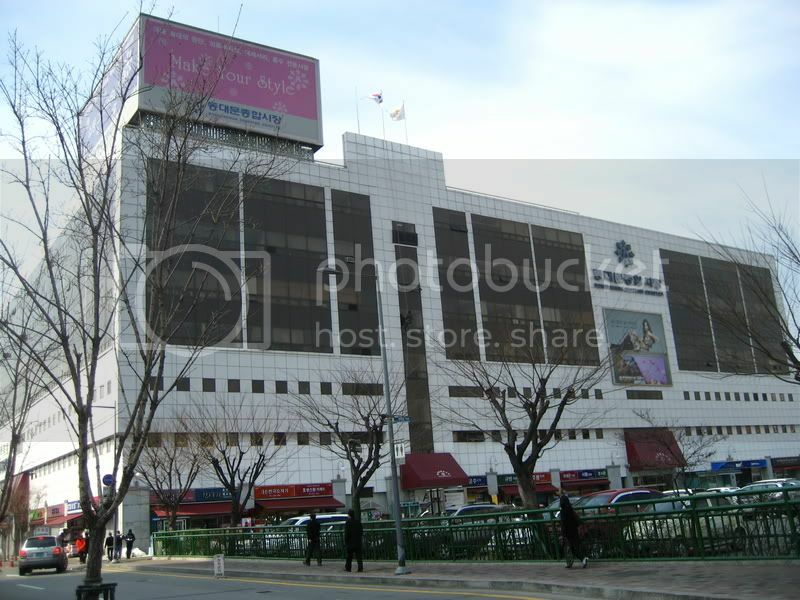 The town is actually called Dongdaemun (pronounced Dong Day Moon). This girl I met is working on a project to cover her walls with fabric and wanted to check this place out. Of course, I wanted to go. 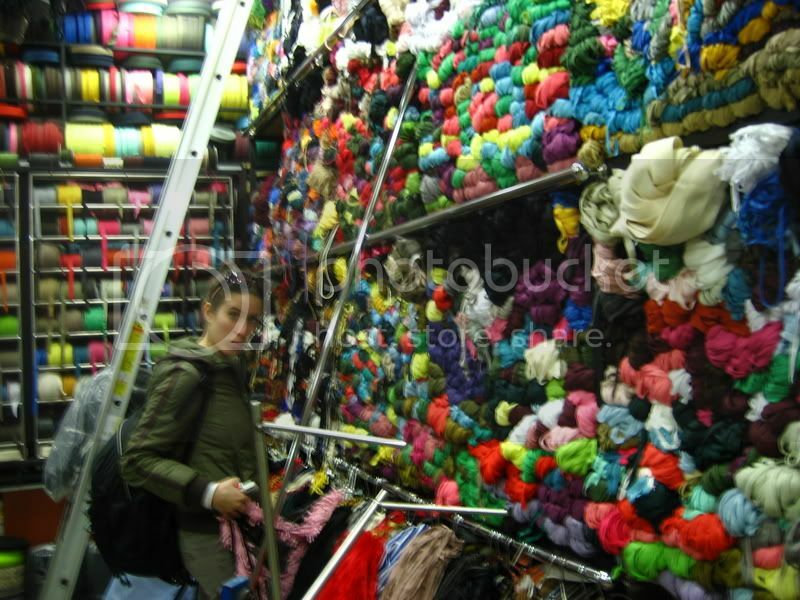 We found some really nice fabric for her project… I hope she’s still happy with the purchases. This is the Craft Store building. Shops like this were everywhere. All you would see was a head peeking out over mounds of fabric. It was amazing. I tried to sneak a picture, because I didn’t want to make them mad. The discount fabric would be folded up in the floor lying all over the place. That’s the way to shop. Not much new going on. I’m making lunch, and then heading to work. Seth has rearranged the furniture in the apartment to have more of an office area. It’s another bright and shiny day today.